Sylvia Engdahl wrote and published six young adult novels between 1971 and 1980. I read all six and always felt they could be listed as adult as well as young adult. After 1980 she went off to make a living and nothing was heard from her until Stewards of the Flame her first new book in over 20 years. It is also her first book listed as adult science fiction. The book received very excellent reviews and I purchased it shortly after it was released. It stayed on my too be read pile because after reading the reviews I was afraid that the book was very grim and depressing. The book is set on Undine a planet where medical treatment is carried to the extreme. People's bodies are not allowed to die. The premise sounds grim and depressing but the book is not. The story deserves all of the rave reviews it received. Sylvia Engdahl self-published the book. In her notes at the back of the book she explained that it just did not fit any of the publishers categories. I think any publisher who turned the book down was the loser. We, the readers, would have lost if the story had never been released. Medical treatment taken to the extreme is a current and future concern. Be sure to read Stewards of the Flame. On What Grounds by Cleo Coyle is the first book in the Coffehouse mystery series. Published by Berkley in 2003 the book is part of the Prime Crime Mystery group. Clare Cosi has come back to manage the Village Blend Coffeehouse in Greenwich Village after many years away. Part of the deal to get her back is the use of a rent-free apartment above the coffeeshop. On the day she finishes moving into the apartment she finds one of her employees barely alive at the bottom of the basement stairs. While Clare is the main protagonist in the book she is supported by two male protagonist. One is a police homicide detective and the other is her ex-husband. In addition to the mystery On What Grounds is filled with facts about coffee. I learned about different types of coffee, how to make specialty coffee drinks and where to buy the best coffee for each drink. There are directions and recipes for the coffee drinks published in the back of the book. On What Grounds introduces the main characters and their relationship. It will be interesting to see how everything plays between the main characters out in future books. If you are looking for a enjoyable read try On What Grounds. Cleo Coyle is the pen name for Alice Alfonsi, who writes with her husband, Marc Cerasini. I am back home for a week. My Mother is home but is still weak. I have been there for two weeks will be home for a week and then go back for two weeks. When I go back I will have internet access at her house. My oldest son has a wi-fi card from Cricket and is going to let me use it while I there. I will be posting new reviews again. “I did two things on my seventy-fifth birthday. I visited my wife’s grave. Then I joined the army.” So starts Old Man’s War published by Tor, a different kind of military science fiction. The book tells the story of John Perry and those are his words. The Earth of Perry’s time was the source of colonist for new planets (all from overcrowded third world countries) and soldiers for the Colonial Defense Force (all from the industrialized nations). If you signed up for the Colonial Defense Force all you knew was that you would leave Earth never to return, you would have to fight, and you would be made young again. People on Earth knew very little about what happened outside of their planet. The Colonial Union had become the voice for humans in space and the Colonial Defense Force was the army to enforce and protect the Colonial Unions’ policies and colonies. One of the Colonial Union’s policies was to keep Earth in the dark. This is the theme and the main conflict in this gripping series of stories. When you start with John’s story in Old Man's War you don’t see this as the main theme. By the end of The Last Colony, everything falls in place. Old Man’s War is a great stand-alone story. The book is filled with surprises. Old Man’s War starts as a military story and near the end you find it is also a love story. If you read the entire series it becomes humanity’s story and Earth’s story. The military part of the story becomes less important and the human aspect takes over. There are many surprises before the story arc in the three books ends where it began, at John’s wife’s grave. John Scalzi in Old Man’s War has written a must read for those of us who love Military Science Fiction. Dark Light published by Jove is the latest in Jayne Castle’s Ghost Hunter Series. Jayne Castle is a pen name for Jayne Ann Krentz. So far there have been 6 books in the series. Dark Light continues the story of a group of Earth colonist who settled Harmony when the Curtain (a vast energy field) appeared. The Curtain allowed interstellar travel. Thousands left Earth to settle new planets bringing with them all the comforts of home. Trade between Earth and the new planets allowed the settlers to continue a very comfortable lifestyle. Then just as the Curtain appeared it vanished, leaving the settlers of Harmony on their own. They had to adjust to a new way of life. Old technology did not work and the new technology was based on the fact that Harmony had been settled before. The former settlers vanished leaving behind only ruins and amber. Amber caused new skills to appear among the settlers. Some people could resonate with amber and that became the basis of the new technology. But the former residents of Harmony also left behind ghosts and traps. Ghost hunters appeared and thus the basis for this series of stories. Each story is filled with adventure, conflict and of course love. But love never comes easy, nor is it recognized at first. Dark Light is the story of Reporter Sierra McIntyre and Ghost Hunter Guild boss John Fontana. They come from two very different backgrounds. Working together they generate some resonance of their own. And what Harmony story would be complete without a dust bunny. Elvis, Sierra’s dust bunny, has his own role to play. If you are a fan of this series, enjoy. If you have never read any of Jayne Castle’s Harmony books, start here. You will be searching for the other five. Dark Light is a great addition to the Ghost Hunter Series. How many times have you heard “It is not the destination, it is the journey”. You know the destination when you start The Prize. It is the journey that grabs your attention. Debra Doggett has written a beautifully paced book with the right amount of tension between Cardis and Stellan . Stellan is a native of a backward planet where the spaceship Cardis is traveling on crashes. Using a tradition from Cardis's planet Stellan has three days to convince her take him as her lifetime mate. If he fails he is killed or sold into slavery. The premise is not new but the author gives it fresh new life. Both characters have issues that keep their journey interesting. I saw one place where I wondered when the characters changed locations and one where the time line did not seem correct. These were minor flaws that did not change how I felt about the book. I hated for the book to end and I hope this is just the first book Debra Dogget publishes. The book is published by Wild Rose Press and is available in hard cover and as an e-book. You can purchase this at Fictionwise, Amazon, and Wild Rose Press. Moonstruck published in 2008 by HQN is the first book in Susan Grants Borderlands series. The war between the Drakken Horde and the Coalition is over but the peace is far from friendly. Brit “Stone Heart” Bandar is chosen to command a starship with a blended crew. Finn Rorkken a Horde Warleader is chosen as her second in command. Brit does not want peace and she really does not want any of the Drakken on her ship. Others don’t want peace either and work to use the Brit’s ship and crew to restart the war. As if that is not enough Brit in spite of her hatred of the Drakken is attracted to Finn. The attraction is mutual. Moonstruck is full of conflict, action and wonderful characters. I loved Finn from the beginning and was pulling for he and Brit to get together. Read the book and see if you don’t feel the same way. The next book in the Borderlands series is The Warlords Daughter and is due out February 2009. It is on my list to order as soon as it comes out. 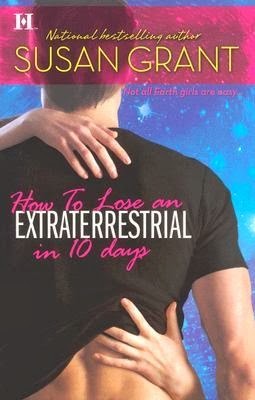 How to Lose an Extraterrestrial in 10 Days by Susan Grant. Published in 2007 by HQN Books How to Lose an Extraterrestrial in 10 Days is the third book in a three book series by Susan Grant. If you are keeping up with my post you know Susan is a former Air Force pilot who now flies international routes for United Airlines. In her spare time she writes Science Fiction Romance. I liked all of the books in this series, but How to Lose an Extraterrestrial in 10 Days is my favorite. It takes an unlikely hero, Reef, and a suburban housewife, Evie, on a series of desperate adventures. Reef stands for Robotically Engineered Enemy Fighter. Reef is the villain in the first book in this series. He is a cyberpowered assassin who has been programmed and sent to Earth to kill Earth’s connections to one of the extraterrestrial powers. He was not successful and found himself with his internal computers turned off and his programming no longer working. Enter, Evie, a divorced suburban housewife with family connections to the same representatives Reef was sent to kill. Evie has her own set of problems. Someone thinks her chocolate business is laundering money for the mob, and her ex-husband want to take their two children. What Evie needs is a bodyguard and Reef ends up with the job. Evie gives Reef 10 day to prove he can do the job and thus the title How to Lose an Extraterrestrial in 10 Days. Evie and Reef both have issues and the solution for both make this an exciting read. How to Lose an Extraterrestrial in 10 Days won a Prism Award. I am away from home for the next few weeks. My Mother is in the hospital and I am staying with her during the day. There is Wi-Fi here in the hospital so I can use my laptop computer. I have learned a lot since I started writing the blog in October. I decided to look at the early posts on Mixed Book Bag and redo some of my favorites. Until I can go back home you are going to see revised editions of the early favorites. Published by Love Spell The Star King is the first in a series of three books by Susan Grant. Susan Grant is a former Air Force pilot who flies for United Airlines and in her spare time writes. Her favorite venue is Science Fiction Romance. On a flight over Saudi American Air Force pilot Jasmine Boswell is shot down by friendly fire. On another planet Prince Romlijhian B’kah is wounded in a fight to bring down Sharon an enemy of his people. For a few moments they are together helping each other and then both vanish to their own worlds. Nineteen years pass before they meet again. I could tell you what happens but it is more fun if you read it yourself. If you love a book with romance and action read The Star King. You have to have at least two opposing groups to have a war. The Battle at the Moons of Hell, Helfort’s War Book 1 introduces a universe where the Federated Worlds and the Hammer Worlds are enemies. Michael Helfort is a Junior Lieutenant on a Federated Worlds deep space scout vessel. He serves with the good guys and the Hammer Worlds are the bad guys. Published by DelRay two books have been released in the series. The second is The Battle of the Hammer Worlds, Helfort’s War Book II. I liked the first book and in a surprise I liked the second even more. Both books are exciting well-written fast paced military dramas. Graham Sharp Paul has a military background and uses that background to construct believable story lines. I recommend the series and hope that there will be a third book. I am a big Elizabeth Moon fan. I have attended several Science Fiction Conventions where she was a guest. In person she is well spoken, intelligent and witty. I have never seen her be anything but gracious to both fans and other authors. I know, I am gushing but I did start off telling you I was a big fan. Vatta’s War is her latest series. The first book, Trading in Danger, introduces Kylara Vatta. Ky, as she is known, is the only daughter in a family that runs a shipping concern. She does not want to join the family business, instead she ops for a military career. When she is thrown out of the military in disgrace her family has her serve as captain on one of their space ships. Elizabeth Moon has constructed a well-planned universe and filled it with complex and fascinating characters. Once you start reading it will be hard to put any of the books down. Treat yourself and start the Vatta’s War series. You will not be sorry. Trading in Danger. Del Rey. October, 2003. 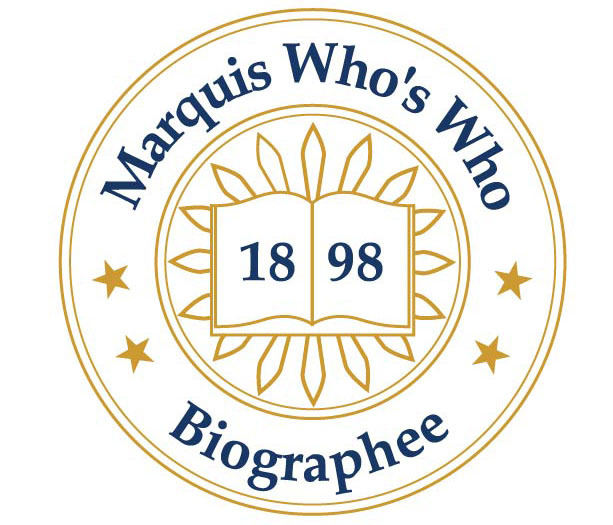 Marque and Reprisal. Del Rey. September, 2004. Engaging the Enemy. Del Rey. April, 2006. Command Decision. Del Rey. February, 2007. Most of the time when I start a book of short stories I never finish. Somewhere along the line I come to a story I don’t like and put the book down never to pick it up again. Turn Left to Tomorrow published by Yard Dog Press is an exception. The book is a series of short Science Fiction stories by Robin Wayne Bailey. I purchased the book at the Yard Dog Press table at the North American Science Fiction Convention in 2007. I started reading the book about a month ago while exercising on my stationary bike. I could read a story an exercise session. There was never a story I did not like; as a result I finished the entire book. 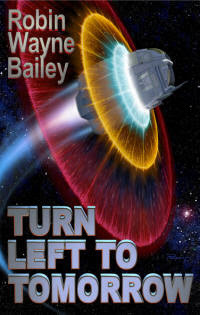 Bailey wrote all the stories and he knows how to write a well-crafted and satisfying tale. I highly recommend the book. This is the first time I have read a book by Bailey. When I looked him up I found that he has an impressive resume. 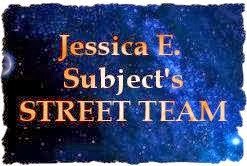 He writes primarily fantasy and has several best selling fantasy series. In addition, he is a past president of the Science Fiction and Fantasy Writers of America. It is always great to discover another author I enjoy reading. As soon as I get through my To Be Read pile I am going to try one of his fantasy novels. If I go 70 miles down the mountain to the river valley I am in the home of Yard Dog Press. Yard Dog is a small press that has survived where others have failed. Go to their web site and check them out. They have an impressive list of authors and titles. Random House posted 9 free full-length novels at Fictionwise. These offers are usually limited so go to the web site now. In order to download the books you will need to register as a member at Fictionwise. This is a free registration. The books are available only in Secure e-Reader format and the following quote is from the Fictionwise website. Note that the books can only be opened with your credit card number. Even though the books are free you need to enter credit card information in order to open and read. If you have purchased books previously you do not have to re-enter, just remember which credit card you used on your last purchase. My eBookwise reader will not accept the eReader format so I downloaded the software and books to read on my Apple. Reading on the computer is not my favorite way to read but "The books are Free".